I picked up the book yesterday! I look forward to reading it with the group. I'll join in with this! Count me in! I look book club! I picked it up on Kindle, so I'm good. Might as well support the author. So, ah, how are these book club discussions done? I've never participated in anything like this. In the past, we read oabout one-quarter of the book each week of the month. There was a weekly thread for discussion of the book up to that point. The book club host (Arry, at the time) would usually start off each weekly thread with her comments, and then folks would chime in. What they liked, didn't like, found confusing or awesome. theories, etc. I hosted a club for Pratchett's Nation at the end of last year, and we used that format, plus a few other things, such as the "Favorite Quotes" thread. For this read of The Stone Road, we'll have three readinf sections not four, with a thread for each. Come the first of June, I'll post in the first of these three. The next week, I'll post in the second, then the third. Fols like yourself may find ypurselves reading ahead, and this is cool. You can even start to comment in the threads (they're already set up) before I do. Just avoid spoilers if youve read ahead but are writing in an earlier section thread. I also want to invite the author to participate in a Q&A thread. You can post anything about the book or reply to what someone else said. You can share anything you liked (or didn't like), quotes, situations, characters, plot, etc. It's not obligatory, of course. There are people who read along and don't say anything and others who post a lot. Sometimes there's a Q&A with the author and you can ask whatever you want. Since each one of us has different reading paces and won't necessarily start and finish at the same time, it's advisable to use spoiler tags when discussing specific parts of the book. 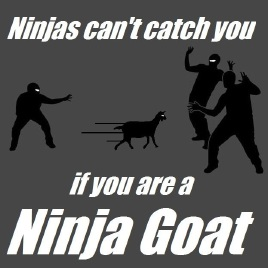 EDIT: Jmack and his ninja goats ninja'd me. Alright. I hope my glacial reading pace doesn't become an issue. I am exceedingly happy to do a Q&A - especially now I have just passed off my latest book to an editor for a look-see. I'm all in, love me a good kindle bargain!